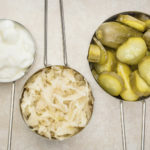 Probiotics To Prevent Bone Loss? Are probiotics good for older women’s bones? If so, which ones should we take? Probiotics are the helpful or “friendly” bacteria (usually Lactobacillus or Bifidobacterium) that normally inhabit the human digestive tract. These beneficial microbes help complete the digestive process but also have effects and influences beyond the GI tract. 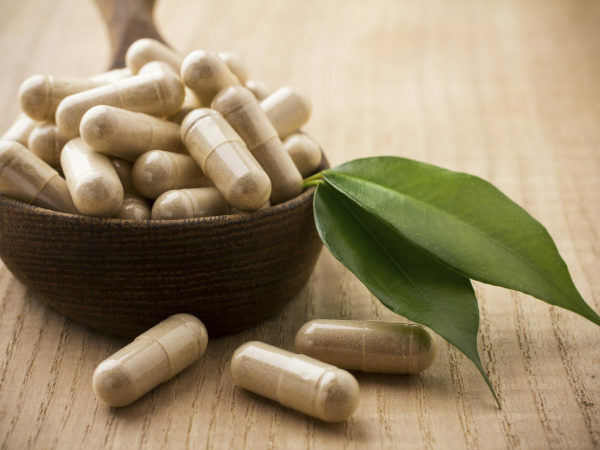 The notion that probiotics can benefit bones comes from a Swedish study published this year (2018) showing that one strain appeared to help reduce bone loss in otherwise healthy women between the ages of 75 and 80 whose bone mineral density was low. Researchers from the University of Gothenburg randomly assigned some of the women to take two daily doses of a placebo or of freeze-dried Lactobacillus reuteri for a year. Both came in powdered form in identical packages. The women were told to mix the powder with cold food or a nonalcoholic drink. Neither the investigators nor the women knew who received the probiotic or the placebo. When the year ended, the researchers measured bone loss in the women’s lower legs and compared the results with measurements taken when the study began. Researcher Anna Nilsson, M.D. noted that the women who received the probiotic lost only half as much bone as those who received the placebo, which translated to a one percent difference in bone loss. The treatment was well tolerated and the incidence of side effects – mostly gastrointestinal symptoms – was the same in both groups. 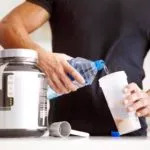 Earlier research had shown that probiotics benefited the skeleton in mice, but the Swedish study was the first to investigate whether or not they could reduce or slow bone loss in humans. The findings suggest that this treatment could be a safe and effective way to help prevent osteoporosis in older people. While this appears to be good news for older women, the researchers said it isn’t clear how the probiotics helped. One possibility is that they affect the metabolism of estrogen, which is needed for strong bones, or that they influence calcium absorption. Because this was the first study of probiotics for osteoporosis prevention, it is too soon to advise women at risk to take them in the form of supplements. The Swedish study was funded by the healthcare company that produced the probiotic used as well as by the Swedish Research Council and Sahlgrenska University Hospital. Proven strategies to keep bones strong include getting at least 30 minutes of exercise most days of the week and making sure you are taking in enough vitamin D and calcium. Should Probiotics Be Part Of Your Gut-Health Routine?